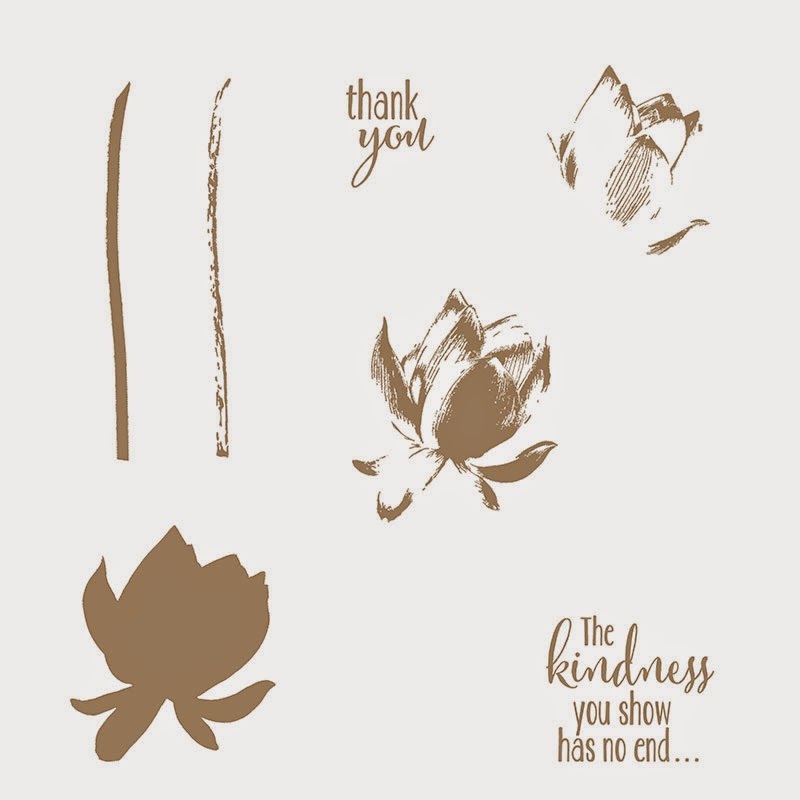 Today's card features the Lotus Blossom stamp set which is FREE when you spend £45 on Stampin' Up! products. As I've been talking about all week, you get a free gift for every £45 you spend and there is a whole host of goodies to chose from. Have a look HERE. The Lotus Blossom set works on a triple stamping principle - and by using only two colours you can create a depth of shade that also looks like you have used three colours - so clever! I used Classic Stampin' Pads Blushing Bride (#131172) and Calypso Coral (#126983). The polkadots on the card were used by a decorative mask (Dots and Stripes #133775) and a sponge dauber (Sponge Daubers #133773) - I used Bermuda Bay cardstock (#131286) with the ink from a Classic Stampin Pad of the same colour (Bermuda Bay Classic Stampin' Pad #131171). The sentiment came from Regarding Dahlias (wood #130324 or clear #130327), and I stamped this in Calypso Coral, too. I punched it out using the Modern Label Punch (#119849). 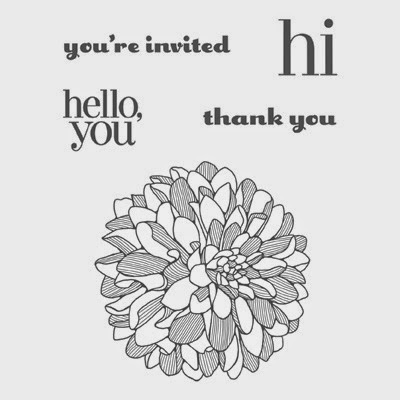 All are available in the Stampin' Up! Official Online Store - press the "Shop Online Now" button at the top of the page to browse or buy.